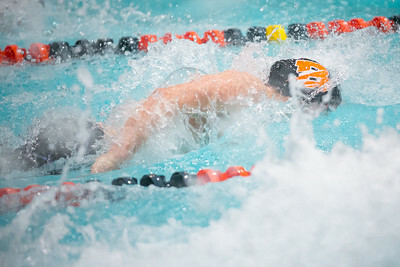 Daryl Quitalig - For Shaw Media Byron's Caleb Carlson competes in the second heat of the Boys 50 Yard Freestyle Final during the 2018 IHSA Boys State Championships at Evanston Township High School, Evanston, Ill. Saturday, Feb. 24, 2018. Carlson finished fourth. 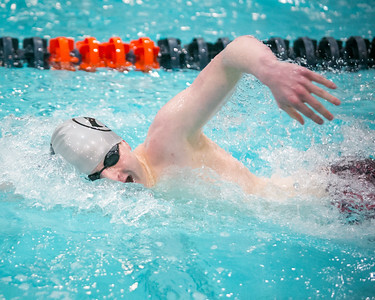 Daryl Quitalig - For Shaw Media Plainfield North's Ryan Netzel competes in the second heat of the Boys 500 Yard Freestyle Final during the 2018 IHSA Boys State Championships at Evanston Township High School, Evanston, Ill. Saturday, Feb. 24, 2018. Netzel finished fifth. 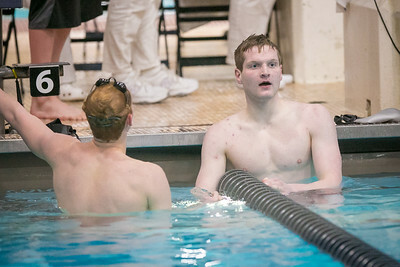 Daryl Quitalig - For Shaw Media Plainfield North's Ryan Netzel (right) congratulates Marmion Acadamy's William Kamps after the second heat of the Boys 500 Yard Freestyle Final during the 2018 IHSA Boys State Championships at Evanston Township High School, Evanston, Ill. Saturday, Feb. 24, 2018. Netzel finished fifth. Daryl Quitalig - For Shaw Media Lincoln-Way East's Bryce Wyma (left) congratulates Loyola's Thomas Barr after the first heat of the Boys 50 Yard Freestyle Final during the 2018 IHSA Boys State Championships at Evanston Township High School, Evanston, Ill. Saturday, Feb. 24, 2018. Wyma finished 10th. 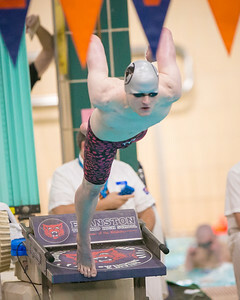 Plainfield North's Ryan Netzel competes in the second heat of the Boys 500 Yard Freestyle Final during the 2018 IHSA Boys State Championships at Evanston Township High School, Evanston, Ill. Saturday, Feb. 24, 2018. Netzel finished fifth.